Take A Walk, Enjoy A Picnic, Or Fire Up The Grill! Clean Living RV Park is located less than 30 minutes away from downtown Fort Worth in Azle, Texas, but Fort Worth is not the only place or attraction that we are near. For those that enjoy the outdoors, we are located 7 minutes away from Eagle Mountain Lake, where you can enjoy different lake activities like fishing, boating, water skiing, and much more without having to venture far away. 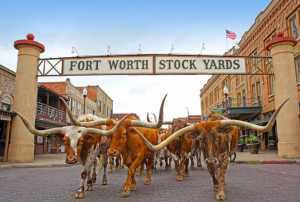 Not only are we a short distance from downtown Fort Worth, Texas, we are also 30 minutes from the Alliance Airport Area, the Naval Air Station Joint Reserve Base in Fort Worth, and Weatherford, Texas. A few attractions that we are less than 30 minutes from are the Kenneth Copeland Bible College in Newark, Springtown, Decatur, and Lake Worth. For local shopping and convenience, we are less than 10 minutes from downtown Azle, Texas, the Azle Super Walmart, and as stated before, Eagle Mountain Lake, where you can enjoy the outdoors with the entire family. Despite being less than 30 minutes away from downtown Fort Worth, Clean Living RV Park currently has daily, weekly & monthly spaces available for rent. We pride ourselves on being clean and safe for our residents, and we strive to provide an RV park experience a step above our competition. Our daily rates are $50 a night, with a 2-night minimum stay. Our weekly rate is $175 a week, and most of our sites are $395 a month, but we do have a few smaller sites that run $300 a month. Regardless if you plan to stay with us for a few days, a week or a month or longer, you can enjoy all of the amenities that we have to offer like our clubhouse, laundromat, and the safety of our fenced 10 acre electrically gated access park. To schedule a tour with us or book and reserve your lot now, call us today at (817) 751-4055, and our highly trained staff will see to it that you have a pleasant booking experience and have all of the information needed for your stay. We’re located 30 minutes from downtown Fort Worth and only 7 minutes from Eagle Mountain Lake. There are numerous stores, restaurants and things to do located nearby. Monthly Rates: Most are $395 w/ a few smaller sites at $300. Weekly Rates: $175 / week. Daily Rates: $50 / Night with 2 Night Minimum. The manager is Ashley and her mobile # is 817-751-4055. If you cannot reach Ashley please contact the owner, Lance, on his mobile at 817-752-4635.